To set up your Facebook share image, you will need to follow these easy guidelines. When sharing to Facebook, Facebook will first try to track if there is any splash screen (Custom Thumbnail) defined in your post, in this case your video. 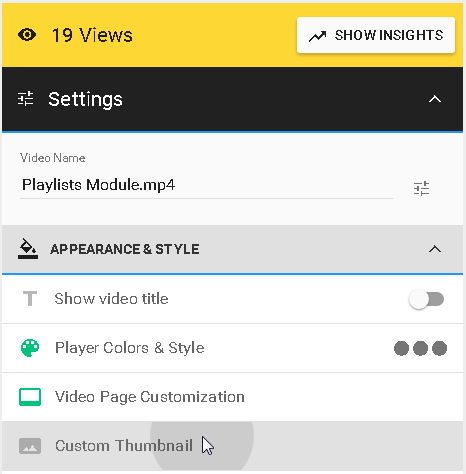 To add your Custom Thumbnail Poster, go into edit mode of your desired video then click on the corresponding option under APPEARANCE & STYLE. Clicking on it will open the below window where you can paste the image URL, select some image from existing Thumbnails, upload a new picture from your PC or choose one from history. Do not forget to click on the PUBLISH button. If this feature is not defined, Facebook will then try to grab the image from your Social Sharing & SEO Metadata Settings. 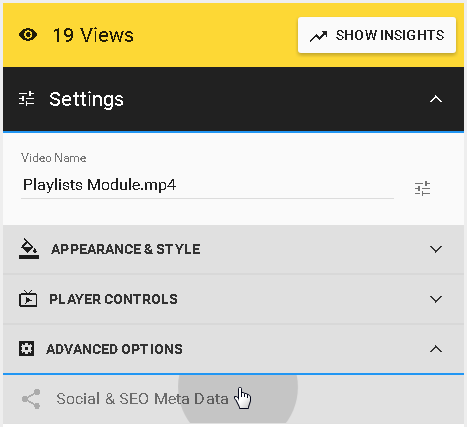 Go to your dashboard and choose the video you wish to edit. 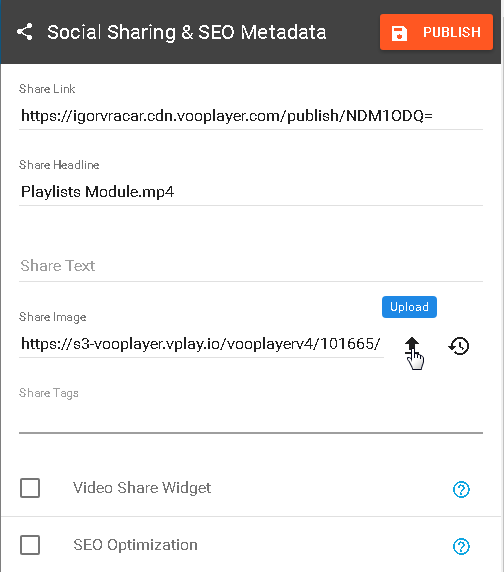 Under the ADVANCED OPTIONS in Settings click on Social Sharing & SEO Metadata and you will find the Share Image feature here. Here you will be able to choose if you want to add your image via URL, choose some previously uploaded or upload an image file by yourself. If this feature is not configured also, then Facebook will try to find a thumbnail associated with your video. This thumbnail is the same one you have on your Dashboard.